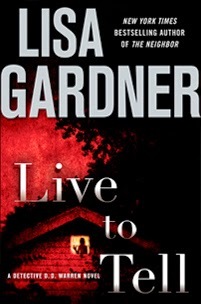 Review: Once again, Gardner is the master at multiple narratives. She pulled me into the story and I could not put this book down. Detective D.D. Warren was a much better investigator this time around (compared with the previous book) and the story was compelling. Almost 25 years ago, Danielle's father murdered her family and she was the lone survivor. Now, close to the anniversary, two other families have been massacred. Are they related to what happened to Danielle's family? This was fast paced and intense. This book addresses mentally ill children and it was both frightening and heartbreaking. Great read-This is officially one of my favorite series.